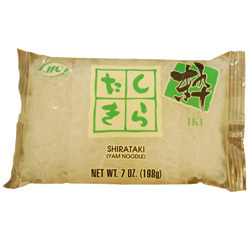 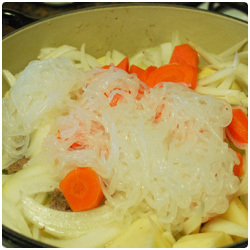 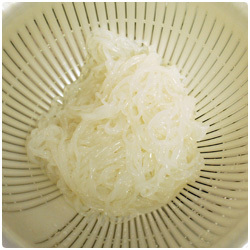 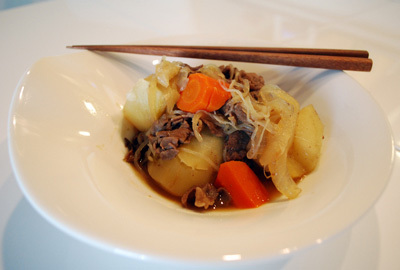 Open the Shirataki and wash the noodles with cold water. 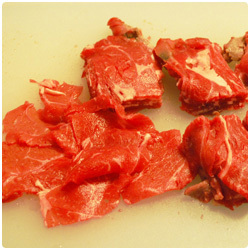 Cut the meat in 4x4cm pieces. 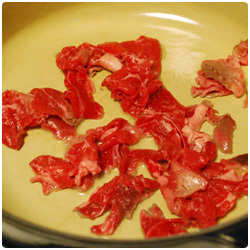 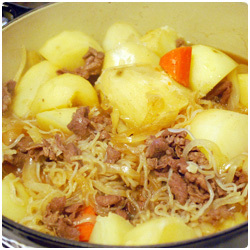 In a pot warm 1/2 tablespoon of canola oil and add the beef slices. 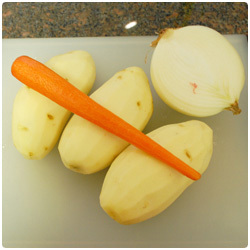 Peel and cut in small pieces the potatoes and the carrots, sliced the onion. 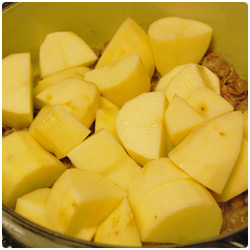 Add the potatoes in the pot. 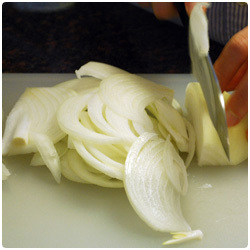 Add the onions and mix everything gently. 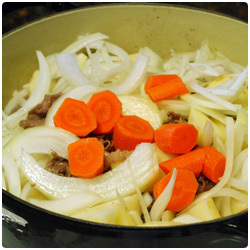 Add the carrots. 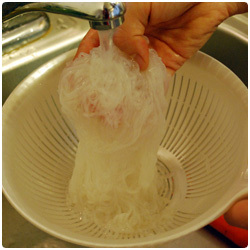 Add the noodles and mix gently. 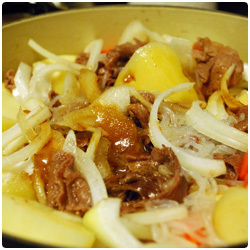 Add the sauce (70ml of Sake, 2 tablespoon of sugar, 70 ml of soy sauce, 170ml of water, 1/2 tablespoon of fish soup stock, salt) and let it cook low fire covered for 20 min. 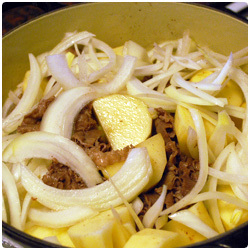 After 20 min open the pot and gently mix. 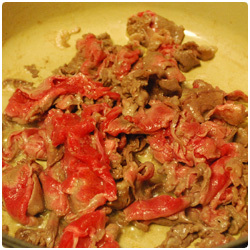 Taste and add salt if you like. 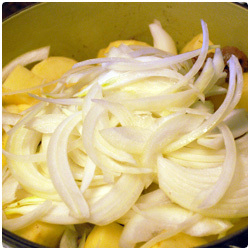 Cover it again and cook for 5 to 10min until the potatoes are cooked. 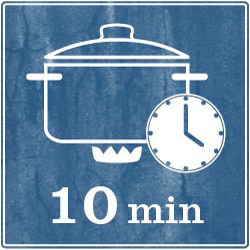 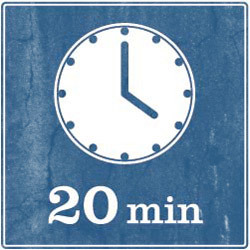 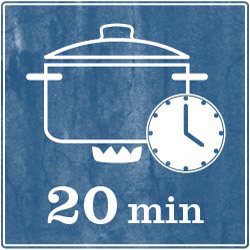 Then turn off the fire and leave the pot close for 15 to 20 min before serving warm.